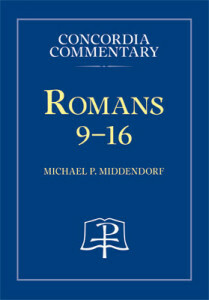 CPH is pleased to introduce the latest volume in the Concordia Commentary series: Romans 9–16 by Michael Middendorf. This volume is a welcome conclusion to his, and our, continued journey through Paul’s Epistle to the Romans. In his analysis of this much-neglected second half of Paul’s Epistle, Middendorf continues to expound on Paul’s theme: “The righteous person will live from faith.” Like any aspect of reality, faith is a multifaceted concept that must be viewed from various angles. Middendorf discusses the essential content of faith, which includes both confessing “Jesus is Lord” as well as believing that God raised him from the dead. Just as Jesus’ crucifixion and resurrection are part of the same action, so are a Christian’s confession and belief. In the following excerpt, Middendorf discusses how confession and belief relate to one another as the essential content of faith. As Paul continues, it becomes clear that such an acknowledgment of Jesus as Lord with the mouth exists together with belief in the heart. In the latter half of the verse, Paul adds: “If you … believe in your heart that God raised him from [the] dead, you will be saved” (10:9). In other words, the content of the confession involves more than a simple verbal assent. As Jesus declares, “Not everyone who says to me, ‘Lord, Lord’ will enter the kingdom of heaven” (Mt 7:21). Thus what Paul describes is “not merely a recitation of a creedal form” apart from faith, but a confession of faith. Does one, therefore, need to believe first? The order of “mouth” then “heart” in 10:9 might be “at first sight surprising,” but Paul surely draws it from Deut 30:14. As he continues, the chiastic structure illustrated above conveys that assent and belief in 10:9 are not to be understood sequentially. Instead, what the mouth speaks is joined with what the heart believes. Paul’s repetition of both in 10:10, but in the order “heart” then “mouth,” serves to make them a “both/and” which, at least according to God’s intent, might be distinguished but cannot be divided. Fundamentally, rather than expressing two requirements for salvation, the proclamation of “the Word of the faith” (10:8) conveys a gracious, but also rejectable (10:16), message into your mouth and heart, which you are invited to both acknowledge and believe. The question of specific order is resolved in 10:14; then, the means by which faith comes into existence becomes clear in 10:17. The “believing” in 10:9 flows from the use of “for everyone who believes” in 10:4 and also more distantly echoes that same clause in 1:16. Now “faith” becomes the dominant term that it was earlier in Romans. Paul uses the verb πιστεύω, “believe,” six times in 10:6–17. The cognate noun πίστις, “faith,” also occurs thematically three times. This entire section explicates “the righteousness from faith” (ἐκ πίστεως, 10:6) and, even more specifically, describes “the Word of the faith which we are proclaiming” (τῆς πίστεως, 10:8). The noun πίστις, “faith,” occurs again in 10:17, where the topic reaches its culmination. 23But “it was credited to him” was not written on [Abraham’s] account only, 24but also on our account, to whom it is about to be credited, to those who believe upon the one who raised Jesus our Lord from the dead, 25who was handed over on account of our trespasses and was raised on account of our becoming righteous. The content which “you believe in your heart” in 10:9 relates directly to the same Lord Jesus acknowledged earlier in the verse. “God raised him from [the] dead.” While one might cite other texts regarding the primacy of the crucifixion, Paul does not identify that as the critical factor of faith here; “from [the] dead” assumes that his crucifixion and death had already occurred. To assert “Christ crucified” without his resurrection would leave us in sin and without hope (1 Cor 15:17–19). As in Rom 1:4 and referenced more recently in 10:7b, the essential content of belief articulated in 10:9 is the resurrection of Jesus. The significance of this for Christian proclamation and teaching is discussed in the excursus “Jesus’ Resurrection in Romans” following this pericope. Similarly, note that we have died to sin by being baptized into Christ’s death, that we may also be united with him in his resurrection (6:1–5). Dunn, Romans, 609, though he goes beyond what Paul says in suggesting that it “indicates clearly enough that an affective and deeply motivating belief (καρδία [‘heart’] …) is in view” (608–9). See “The Background and Meaning of ‘Faith’ Words” in the commentary on 1:16 (Middendorf, Romans 1–8, 88–90); “ ‘From Faith[fulness] into Faith’ (1:17)” on 96–98; and also 106–7. See Middendorf, Romans 1–8, 329–31, 359–65. From Concordia Commentary: Romans 9–16, pages 997–98 © 2016 Concordia Publishing House. All rights reserved. 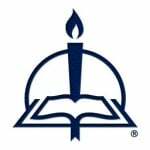 To order Romans 9–16, please contact CPH at 800-325-3040 or visit www.cph.org.